Two days in a row I received phishing emails from an Outlook server, so I'm documeting it. 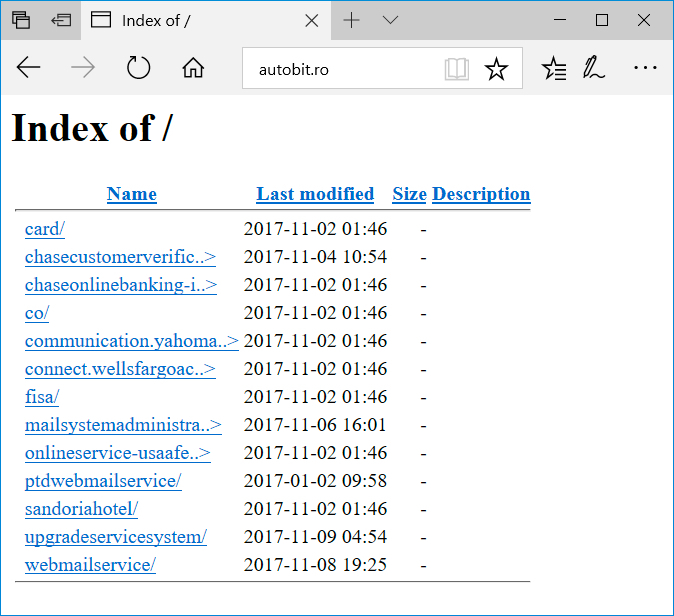 Go to hxxp://autobit.ro/ and you'll find several open directories for phishing sites. Shown above: Open directories on autobit.ro. 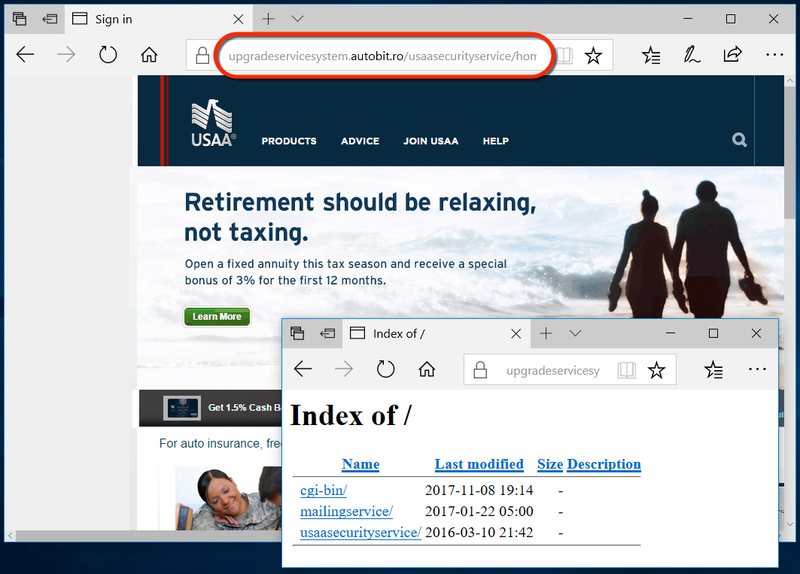 Shown above: Phishing email from Thursday 2017-11-09. 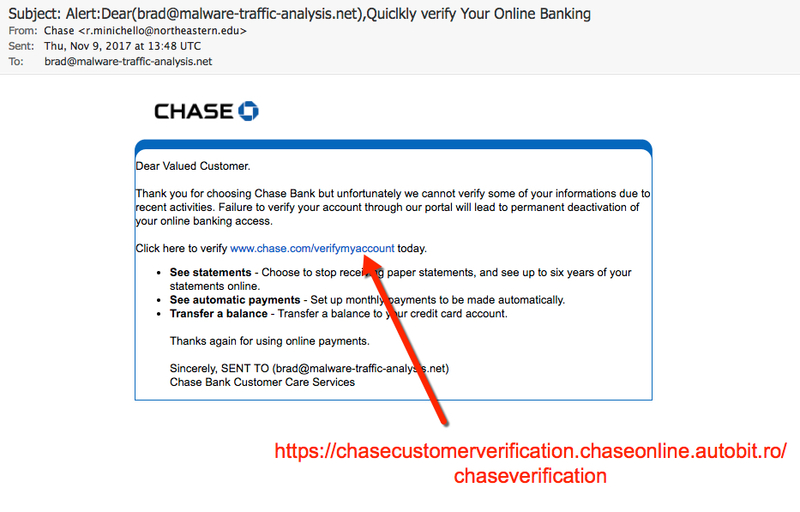 Shown above: Phishing email from Friday 2017-11-10. 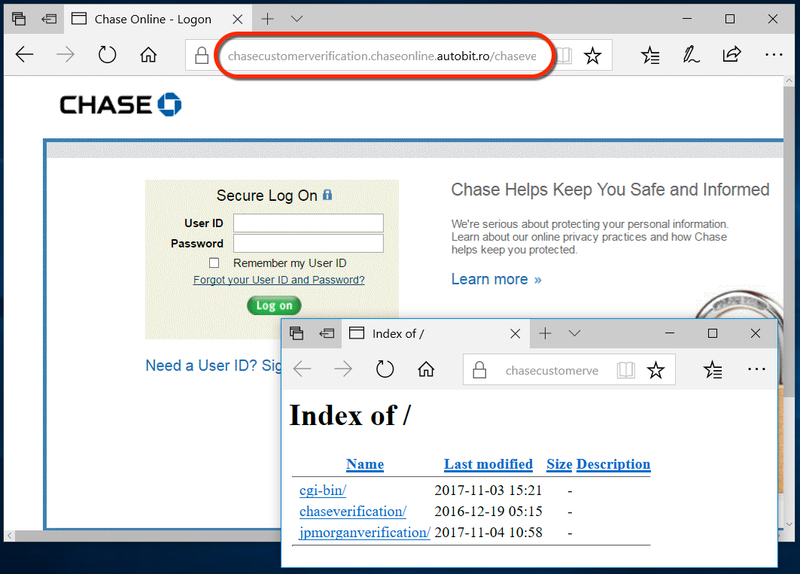 Shown above: Fake Chase login page from 2017-11-09 email. 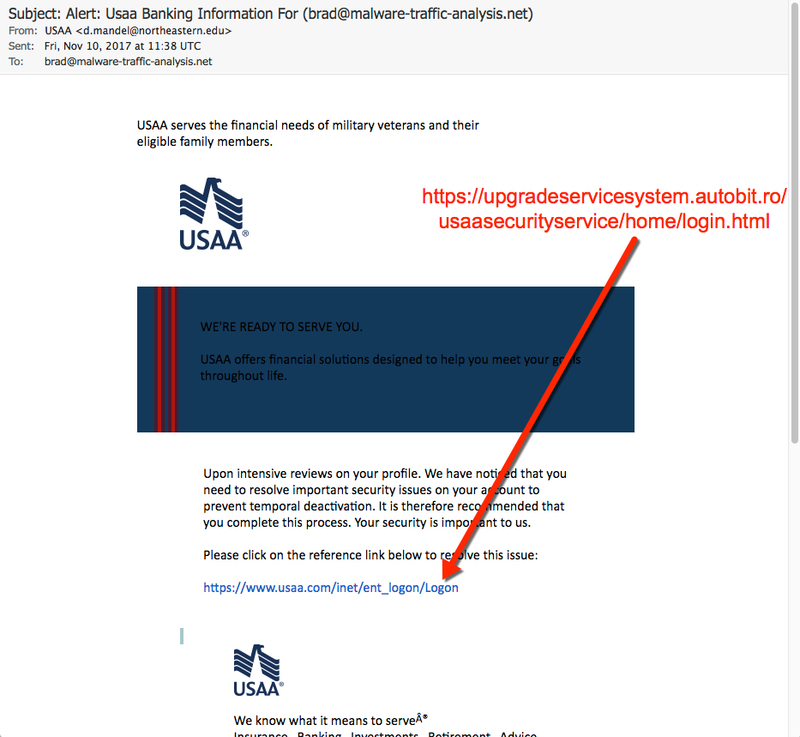 Shown above: Fake USAA login page from 2017-11-10 email.